I Love Growing Marijuana (ILGM) has been selling low-cost, high quality, and easily accessible marijuana seeds since 2012. Started by a long-time Dutch grower, Robert Bergman, ILGM launched as a passion project. Bergman wanted to share his knowledge about growing marijuana with others. Soon, Bergman branched out and teamed up with seed breeders to provide his readers with access to the best marijuana seeds he could find. Now ILGM is bigger than ever, one of the most popular places to source marijuana seeds and knowledge online. Are they still as good as they were in their humble beginnings? 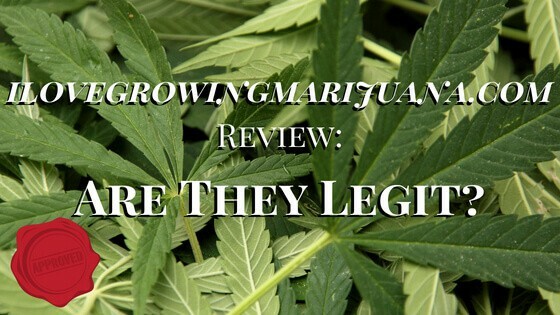 Keep reading for our ilovegrowingmarijuana.com review. What Sets I Love Growing Marijuana Apart from their Competitors? Not all companies started out as a knowledge hub, which is why ILGM has such a huge online following. Many seed banks don’t come with the associated information to boost your growing experience. The free shipping throughout Europe and USA is also helpful, as many of us love filling our online shopping cart, but chicken out when the international shipping fees kick in. Fill away, and take advantage of the free shipping! ILGM also has many secure payment options, which work no matter your financial setup. Why is I Love Growing Marijuana an Industry Leader? Over the course of six short years, ILGM has become an industry leader in the marijuana seed global marketplace. They are also an established destination for how-to guides and community sharing on growing marijuana. To date, they have over 500 articles, all available for free. They also have 25 downloadable grow guides, also all for free. If you are looking for seeds, they currently carry over 30 strains including indicas, sativas, hybrids, feminized, auto-flowering and mixer packs. There is a reason why they have over 35,000 visitors a day. What Types of Seeds do They Offer? Another reason ILGM is an excellent resource for marijuana growers is due to the sheer number of strains they carry. They cater to the recreational growers looking to grow potent THC strains, as well as the medicinal grower, seeking medically proven strains. From indica to sativa to cannabidiol (CBD) to mixer packs, the world is your oyster when it comes to seed variety. Their mixer packs are one of their top sellers, giving the at-home grower a little variety in their operation. They are one of the few seed companies curating mixer packs for curious weed farmers. If you are new to growing marijuana, or just lazy, ILGM carries complete kits with everything you need to get your mini-grow up started. Each kit comes with 20 seeds of one of the most popular strains, including White Widow and Cheese varieties. You can also specify high yield or high THC. On top of a great deal on seeds, each kit also comes with a set of nutrients and boosters for your new grow operation. The fertilizer kit takes your seeds from germination all the way to harvest. The nutrients are carefully suited to the seeds and come in separate packages to reduce the risk of confiscation when shipped overseas. When doing our research for this ilovegrowingmarijuana.com review, this was one of our favorite things they offer. What About Their Payment Options? Purchasing anything marijuana-related from the internet is nerve-wracking. Depending on where you live, it might not even be legal. ILGM understands that not everyone wants to place an order for weed seeds on their credit card. Its true, they even accept envelopes stuffed full of money, received through the post. If you decide to pay via bitcoin, you also qualify for a discount. How do Their Prices Compare to Other Seed Banks? In a price comparison with other leading seed companies on the market, ILGM is affordable, especially when you consider the quality. Yes, there are other companies out there with cheaper seeds, but the customer service and seed qualities suffer. ILGM is not a bargain basement option, but they always have consistent quality and helpful service. Plus, ILGM offers free shipping, which really helps make them one of the more affordable seed banks out there. If you take advantage of their mixer packs, and complete kits, it's an even better price point. Do they Offer Valuable Resources to Their Customers? Even outside of seed sales, ILGM is a helpful and in-depth online resource for all things related to cannabis cultivation. Whether you need specific growing guides for a certain strain or detailed advice on fertilizers, ILGM has information for you. Their focus on free knowledge is thanks to the founder, Bergman. Based in Amsterdam, Bergman has been perfecting the craft of cannabis cultivation for decades. Since starting in 2012, he has published his experiences and knowledge online for the world to use. This free, downloadable PDF guide takes a grower through all the steps of growing marijuana, from seed to sale. If you have never grown marijuana before, start here. Learn how to build a grow room, what nutrients to feed your plants, and how to identify common diseases. It is a fantastic resource, available entirely for free by signing up for their newsletter. The next best thing to trying a strain yourself is watching someone try it. ILGM has begun publishing a series of strain reviews for each of their seeds. These short, helpful clips cover everything you need to know from the taste to the benefits of the strain. In 30 seconds or less, the video strain reviews help you decide before purchase. Growing marijuana has many benefits, but one of the biggest is joining the huge online community of fellow growers. Online forums, like the one on ILGM, help cultivators troubleshoot issues, swap war stories, and share their discoveries. Community-based learning is often how growers perfect their craft. The ILGM community forum is especially useful for new growers. Before planting your own seeds, take a deep dive into the community forums. You never know what tips you might pick up. Are There Any Cons to Ordering From I Love Growing Marijuana? Unfortunately, it's still illegal to ship marijuana seeds across the US, and in many other areas of the world. Some of the main complaints against all seed companies are the fact some for some customers; their orders just don’t show up. Federal customs agencies may confiscate your package, or the postal agency may be responsible for the loss. Missing orders make up the bulk of the customer service issues for all seed companies, but this may not be the sole responsibility of the seed shop. ILGM offers free replacements to any customer who has not received their seed order. Contact their customer service department for assistance. It doesn't matter if you are looking to buy cannabis seeds or learn how to grow cannabis online, ILGM is one of the best resources there are. In fact, we recommend them to anyone that will lend us an ear! Buying cannabis seeds online can be scary. They are expensive and you're trusting that you are going to get what you ordered. 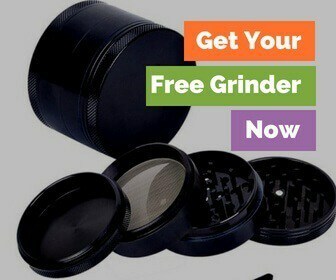 You can rest at ease if you choose to go with ilovegrowingmarijuana.com. Have you bought seeds from them before?